Peter Dumigan, MD of the Hultafors Group UK, which owns Snickers Workwear, talks about the latest innovations in workwear fabric technology for delivering greater comfort and mobility on-site. Most tradesmen and women wouldn’t think twice about buying the best-designed tools to help them do their jobs better and more efficiently. But many will be surprised what a modest investment in the new stretch-comfort working clothes can achieve in improving their workday. After all, it’s not often you see a tradesman or woman who isn’t wearing a pair of work trousers nowadays. They seem to be generally accepted as being the go-to garment for working on site. Perceived to be practical and functional, they generally have a selection of pockets to keep small tools and fixings close at hand and can cost anything from fifteen quid to over a hundred. But, as many professional tradesmen and women throughout the UK have found over the last few months, it’s well worth taking the time and effort to invest in the latest workwear. Over the last 40 years, workwear has certainly come a long way from the old Bib ‘n’ Brace and Boilersuit you could get in a plastic bag from your local merchant. It’s important to find a ‘workwear’ system of garments and accessories which is designed for the specific personal requirements of tradesmen and women – more importantly, for how you want to look and feel. Many professionals now go about choosing their workwear in the same way as they do clothing for outdoor leisure activities. They choose clothes that deliver comfort, good looks, functionality and performance. Further to this, you’ll find that some of the newest types of working clothes – jackets, topwear, undergarments and trousers – are now made from the same fabrics you’ll find in performance sportswear and leisurewear, like the lightweight ’37.5 Technology’ and 4-way stretch fabrics. Snickers Workwear has been producing working clothes with these types of fabrics for well over a couple of years, leading the market as ever. They’ve been developed from research carried out amongst tradesmen and women, talking to them about what they need, then understanding those needs and translating that into working clothes that suit the way people need to work, look and feel on site. Nowadays, really good work clothes are those that are designed with one thing in mind: the on-site comfort and mobility of the working man and woman. They need garments and accessories that can be combined for different jobs, tool requirements, workplaces and weather conditions. But the best work clothes aren’t merely designed to make life less like hard work; they’re designed to anticipate your natural working movements. Unlike the most basic workwear brands, market leading garments are available in a range of different fabrics to suit the wear and tear of working on site. Fabrics that are: hard-wearing, durable, washable, colourfast, comfortable, flexible, breathable, windproof and waterproof. Function and comfort are more important than anything else in choosing the right work clothes. That’s why the newest and best workwear is made with 4-way stretch fabrics to be comfortable, to fit properly and to give freedom movement. This ensures that, whatever people are doing on site, they can bend, stretch, kneel, sit, crouch and reach without feeling as though they’re in a straightjacket. But why is the best workwear worth the money? 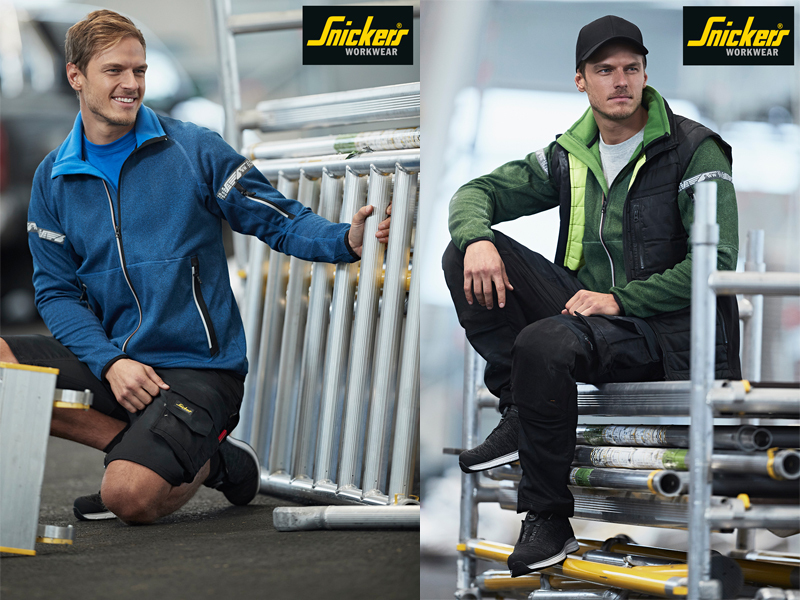 Snickers Workwear, for instance, has a wide selection of garments and accessories to suit differing work requirements, as well as personal taste. Amongst the newest 2019 styles, you’ll find a unique blend of stretch-comfort and optimum functionality. For example, 4-way stretch combined with pockets where you need them and functionality for tools and work materials. So, when you’re thinking about what to wear on site, remember the old saying – if you buy cheap, pay twice. Consider your working clothes as an investment in yourself and your wellbeing. It’s definitely worth checking out Snickers Workwear’s new, contemporary-styled working clothes for both men and women. They combine body-mapping climate control comfort, advanced functionality and all the benefits of 37.5 sports fabric technology. The street-smart designs in the 2019 range anticipate your natural working movements and feature highly durable stretch-comfort fabric combinations to give you greater flexibility and mobility – whatever you’re doing and wherever you are on site. It’s well worth the investment, and it will cost a lot less than you’d imagine!